The Fashion skills and technical workshops are launching at Esaie Couture Design school! Here’s an opportunity to sample these workshops and ask your questions! 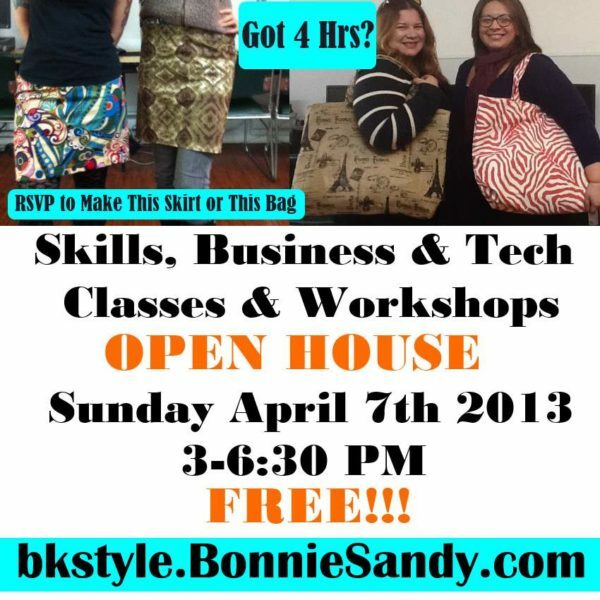 Fill out the RSVP form below and walk with printout to get a 10% or remember to use code “bkstyle” when Registering. The busienss and etech workshops will ne added shortly! Open Studio Fashion Drawing Class – from a live model! WHY- Join the new making and creative economy! A chance to have your questions answered! come sample offerings before making your investment, learn of opportunities and potential! Support the growth of local business and economies, Show your support for spaces that serve our community! BRING A FRIEND! WHAT- Basic, Intensive and advanced classes in Sewing, Fashion and technical design, launching workshops in knitting, shoe covering, accessory design, Illustration and more. Posted in Uncategorized and tagged resources.